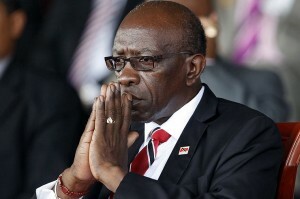 PORT OF SPAIN, Trinidad – Former FIFA vice-president Jack Warner used US$10 million from football’s governing body to pay credit card debt, give himself personal loans, and also laundered some of the money, according to a BBC investigation. BBC reported today that it had seen documents detailing three wire transfers on January 4, February 1 and March 10, 2008 from FIFA accounts to the Confederation of North, Central America and Caribbean Association Football (CONCACAF) accounts. Trinidadian Warner was president of CONCACAF at that time and controlled its accounts. The money had been sent by FIFA on behalf of South Africa and was intended to be used for that country’s Caribbean diaspora legacy programme which was aimed at developing football in the region. 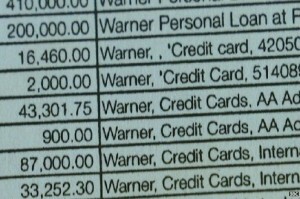 However, the report indicated, of that money, almost US$1.6 million was used to pay Warner’s credit cards and personal loans. It said the 72-year-old football executive made several personal loans to himself – the largest being US$410,000 – and paid credit card debt. The largest payment made for the latter purpose was US$87,000. Some of the money was also moved around, the BBC report stated. It said JTA Supermarkets, a large chain in Trinidad, received US$4.86 million between January 2008 and March 2009; and US$360,000 of the money was withdrawn by people connected to Warner. Warner is among 14 people – nine of them current or former FIFA top officials and five sports marketing and broadcasting executives – accused of racketeering, wire fraud, money laundering, bribery. United States prosecutors allege they offered and accepted more than $150 million in bribes and kickbacks over a 24-year period. He has denied all allegations and plans to fight his extradition to the US to fight the charges. Warner has also promised to reveal “an avalanche” of secrets showing the link between FIFA, its funding and him; the link between FIFA, its funding and the United National Congress and the People’s Partnership government in the 2010 general election in Trinidad and Tobago; his knowledge of financial transactions at FIFA including, but not limited to, FIFA president Sepp Blatter; and matters involving Prime Minister Kamla Persad-Bissessar. Blatter, who was not named in the indictment that was unsealed in a federal court in the United States, has since announced his decision to resign.